Throughout the book we get background on each of the players. What led them to be the player they were when they were selected as a member of the Dream Team? How’d they find out? McCallum also does a good job of describing just how hard it was to get not only a list of players they thought would say “yes” to the Olympics, but actually getting those players to say YES. Magic was the first yes, and that sort of paved the way for others to say yes. However, it took Magic months to convince his buddy Larry to join the team. And, personally, I’m glad he did. McCallum also does a good job describing some of the game play. Especially the practices. There are two legendary practice scrimmages that happened behind closed doors. There’s footage of both games, but none have ever really surfaced. McCallum talks about both of the games. 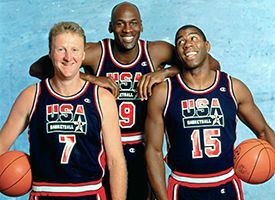 The first game occurred early on in the Dream Team’s life when they were practicing in La Jolla, CA. A group of college all-stars were put together to play against the pros. The all-star team included such players as Grant Hill, Bobby Hurley, Chris Webber and Anfernee Hardaway. The college team, and especially Bobby Hurley were too quick for the newly minted Dream Team. McCallum describes in detail what really happened with that game. Recently, footage from this game was shown for NBA TV’s documentary The Dream Team. The second scrimmage happened closer to the start of the Olympics when the team was practicing in Monte Carlo. It was an intersquad matchup between Magic’s Blue Team (Magic, Mullin, Robinson, Barkley and Laettner) and Michael Jordan’s White Team (Jordan, Pippen, Ewing, Malone and Bird). Both Drexler and Stockton were down with injuries and didn’t play. Being the competitors they are, the game was heated. Mr McCallum gives a very detailed description of the game, including a description of the trash talking between Magic and Michael and even provides a box score at the end of the chapter. For those that want to know, that chapter is 28. Unfortunately, no footage of this game has been released (McCallum, obviously, has a copy). Amongst all of the navel gazing about the team and their antics in Europe, we also get some passages seeing what the players are up to today. Those are very interesting as well to see where everyone ended up. I really enjoy behind these scenes books like this, especially about the 80s-90s NBA. Check out the top book in my year end “best books” list for 2009. This fits right along that book on my shelf. 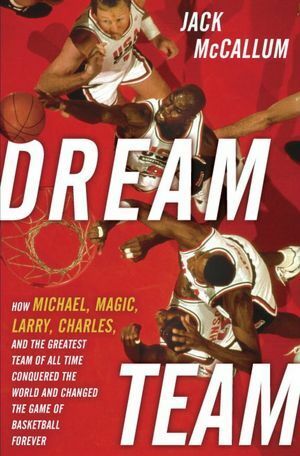 If you are a fan of 80s-90s NBA, or were a big fan of the 1992 Dream Team, pick up this book. It’s an easy, breezy read and is interesting from front to back cover. I learned a lot I didn’t know about the Dream Team and I’ve read most everything about them I can get my hands on. Bravo, Mr McCallum for a wonderfully entertaining book. 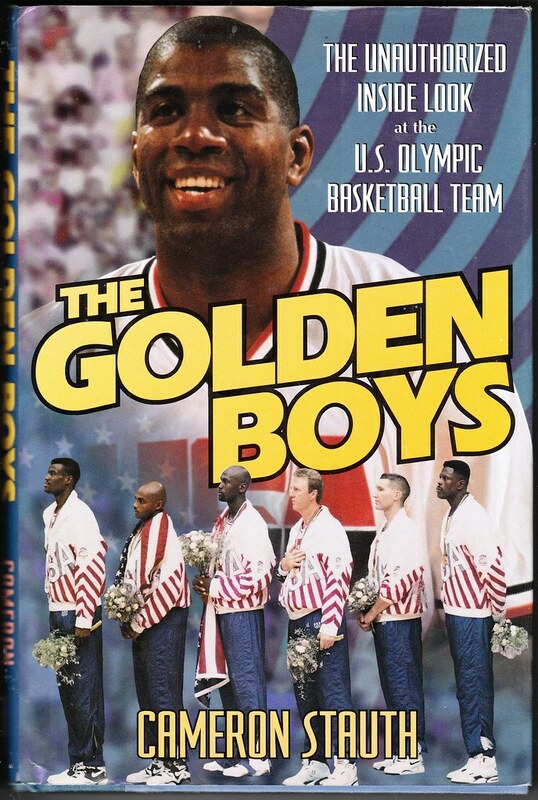 Now, we only need to convince Team USA and the NBA to release DVDs of the games that this team played. The Tournament of the Americas, the Olympic games and even the scrimmages against the college stars and themselves. I want to see all of them, please. This entry was posted on July 20, 2012 at 9:00 am and is filed under basketball, books, Larry Bird, Magic Johnson, NBA, pop culture, reviews, sports with tags Book Report, books, Dream Team, Larry Bird, Magic Johnson, NBA, pop culture, review, sports. You can follow any responses to this entry through the RSS 2.0 feed. You can skip to the end and leave a response. Pinging is currently not allowed.